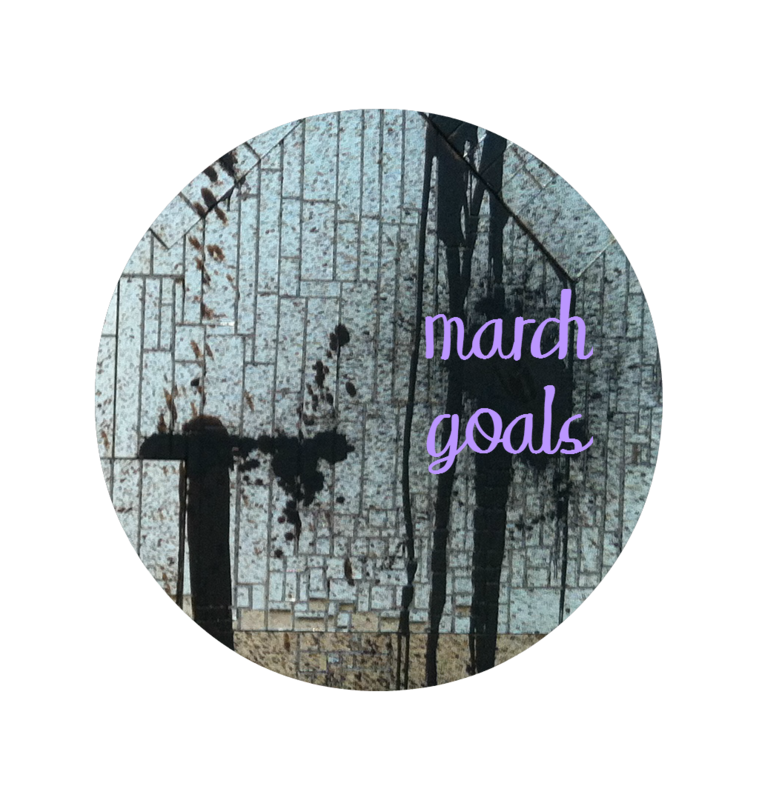 I was skimming through blogs today via Bloglovin' and I saw a post about goals for March (you can find that post here.) I realized how great of an idea it is to set monthly goals for myself on my blog. People are reading it, so it holds me more accountable to actually follow through. I'm going to attempt to start doing this the first week of each month. I'll set three to five goals for that month and discuss how well I did (or what I didn't do) the previous month. So, of course, let's start off now, with March. 1. Get through the entire month partaking in "Meatless Monday." I started this past Monday, but I would really like to get through the entire month (and then some!). 2. Finish my first blanket! I started crocheting and I haven't gotten very much completed, but I would love to get this thing finished by the end of the month. 3. Finish Friends. I'm on season five, I'm halfway through, and I will be the saddest when I'm finished with it forever, but I'll be glad I finally saw it (15 years too late!). 4. Get outside and clean the yard! The weather is (kind of) getting warmer and it's time to clean the yard. We have several teenagers that cut through out yard to the next neighborhood and they throw trash in the yard all the time. We're never around when they do it, but it drives me out of my mind! I want to get it all picked up, because I'm tired of looking at it! 5. Read a book! I set it as a goal at the beginning of the year (to read a book every month), but I haven't actually read any. Eep. I've got to get on top of it, so wish me luck! How often do you set goals? Do you have any for this month?